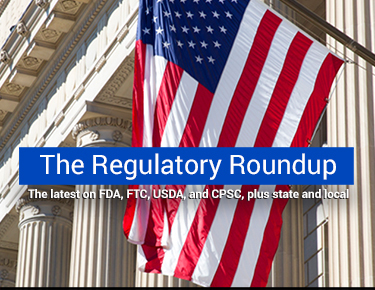 The latest on FDA, FTC, USDA, and CPSC, plus state and local. Click Here to go to the blog. Jonathan Havens counsels clients on regulatory, compliance, enforcement, and transactional matters related to products regulated by the U.S. Food and Drug Administration (FDA), the Federal Trade Commission (FTC), and the U.S. Consumer Product Safety Commission (CPSC). Companies in the consumer health care products, life sciences, medical cannabis, food and beverage, cosmetics, and tobacco industries, among others, turn to Jonathan for advice on how to get and keep their products on the market. He advises companies throughout the product life cycle, including product development, formulation, manufacture, distribution, and promotion. More specifically, Jonathan handles matters involving labeling, good manufacturing practice (GMP), quality system regulation (QSR), product design, and registration and listing, to name a few. When disputes, including litigation, arise relating to these and other issues, Jonathan helps clients navigate them. This includes preparing for FDA inspections, responding to inspectional observations (FDA Form 483) and warning letters, managing product recalls, and resolving import and export issues. He also counsels clients through business transactions that involve oversight by myriad federal and state agencies. Beyond his FDA, FTC, and CPSC work, Jonathan's experience extends to matters involving the U.S. Department of Agriculture (USDA), the U.S. Drug Enforcement Administration (DEA), U.S. Customs and Border Protection (CBP), a wide array of state and municipal agencies, state attorneys general, and district attorneys. His deep understanding of the complex regulatory and statutory requirements that govern a wide range of products and services is enhanced by his experience working in government and on Capitol Hill. Before entering private practice, Jonathan served as regulatory counsel with the FDA, where he focused on compliance and enforcement related to promotion, advertising, and labeling. Jonathan has also held legislative and government affairs positions in which he managed several areas of policy and drafted legislative proposals, and facilitated the development and execution of strategic communications to members of Congress and their staff aides. When a drug, medical device, or human cell, tissue, and cellular and tissue-based product (HCT/P) company wants to bring a product to market, Jonathan advises them on relevant regulatory considerations. Once a product is on the market, he provides counsel on, among other things, matters such as quality control and quality assurance (QC/QA), product safety, adverse event reporting, and responding to enforcement actions. When regulated companies are exploring partnerships, licensing deals, and purchase agreements, he conducts due diligence reviews and drafts and negotiates transactional documents on their behalf. Served on promotional review committees for a medical technology company and a global health care company. Provided medical device post-market compliance advice, including with regard to medical device reporting (MDR), device recalls, QSR, and responses to FDA Form 483s and Warning Letters. Counseled clients on issues related to clinical trial agreements, informed consent, and interactions with Institutional Review Boards (IRBs). Conducted regulatory due diligence reviews and risk assessments of medical device companies targeted for acquisition, and negotiated and drafted transactional documents related to the same. Drafted numerous FDA pre-submission meeting requests and prepared background packages related to the same. Represented a multinational pharmaceutical company in its successful request for orphan drug designation. Represented a medical device company in a pair of successful applications for marketing clearance. Represented a mail order pharmacy in its sale of stock to a pair of private equity groups. Jonathan advises prospective medical cannabis growers, processors, and dispensers on how to obtain state agency licensure, including with regard to applicable requirements, application content and strategies, post-licensing compliance considerations, and relevant federal law. In addition to having represented an entity that applied for medical cannabis licensure in Maryland, Jonathan follows existing and prospective cannabis regulations throughout the country, as well as federal policy developments affecting the cannabis industry. Jonathan, who serves as co-chair of the Firm's Cannabis Law Practice, regularly researches, provides legal advice, speaks, and writes about industry developments, challenges, and best practices. Manufacturers, importers, distributors, and retailers of conventional foods, dietary supplements, and beverages seek Jonathan's counsel on product development, claim substantiation, labeling, promotion, registration, reporting, and recall issues to ensure compliance with FDA and USDA requirements. He also provides advice to chain restaurants and retail food establishments, such as grocery stores and convenience stores, on federal and state menu labeling requirements, truth-in-advertising laws, and to minimize the risk of litigation. Jonathan, who serves as chair of the Firm's Food and Beverage Practice, offers clients industry-specific knowledge, business understanding, multi-disciplinary capability, strategy, and pragmatism. Advised leading restaurant chains, supermarkets, and convenience stores regarding federal, state, and municipal menu labeling requirements. Counseled global FDA and USDA regulated clients regarding myriad compliance and enforcement matters, including, but not limited to, GMO and organic labeling, FDA Food Safety Modernization Act (FSMA) compliance, USDA Food Safety and Inspection Service (FSIS) investigations, and hazard analysis and critical control point (HACCP) programs. Represented a multinational food processor and marketer in defeating a federal government contract bid protest. Jonathan began his legal career as regulatory counsel with FDA's then newly-established Center for Tobacco Products (CTP). In this role, he evaluated tobacco industry compliance with and carried out enforcement of tobacco product promotion, advertising, and labeling requirements under the Federal Food, Drug and Cosmetic Act (FD&C Act). He also drafted regulations in this role. 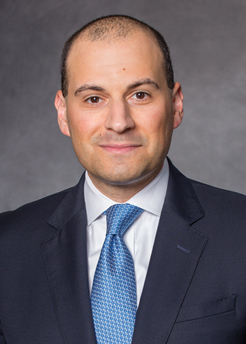 Since entering private practice, Jonathan has written and spoken extensively on FDA's authority to regulate tobacco products, with a particular focus on FDA's "deeming rule," which extended such authority to, among other things, electronic nicotine delivery systems (ENDS) (e.g., e-cigarettes and vapor products) and cigars. Advised investors and investment research firms regarding FDA's tobacco products regulatory, compliance, and enforcement landscape. Counseled a leading trade association regarding compliance with FDA's "deeming rule." Farm Bill Signed Into Law, Legalizing Hemp. What Can We Expect? FDA’s Response Sheds Some Light. Food Regulatory Update: Bioengineered Disclosure Coming to a Food Label Near You; Menu Labeling Rule Goes Live Today, May 7th – Are You in Compliance?